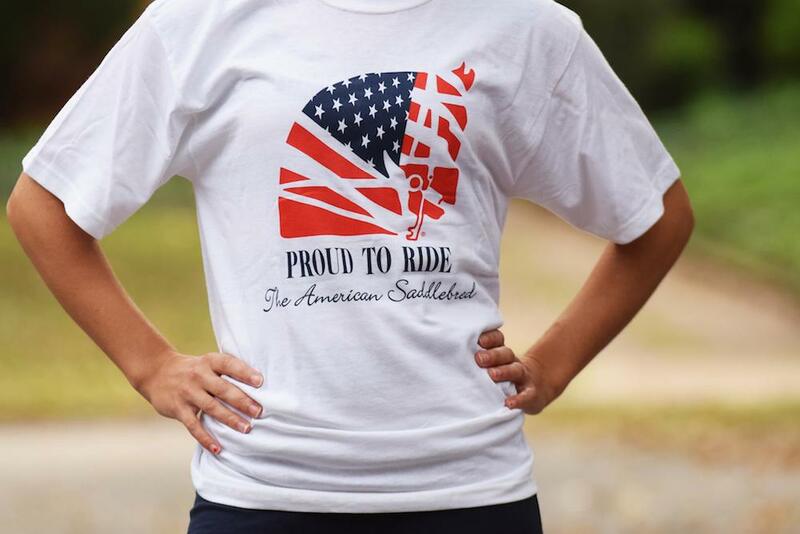 This patriotic Saddlebred t-shirt is perfect to share your love of the American Saddlebred! Comfortable and pairs with anything. Size: XXL.